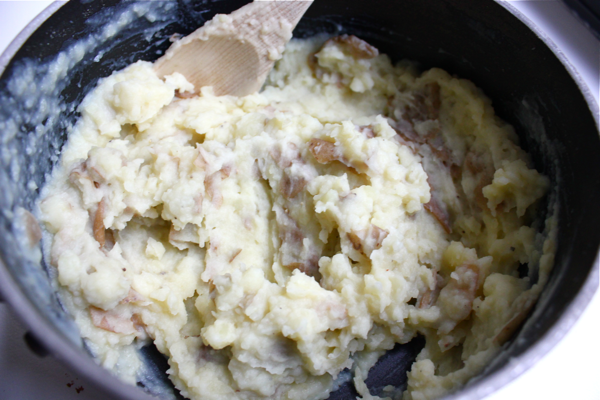 Mashed potatoes have a clear purpose in my life; they help me eat delicious gravies and sauces. 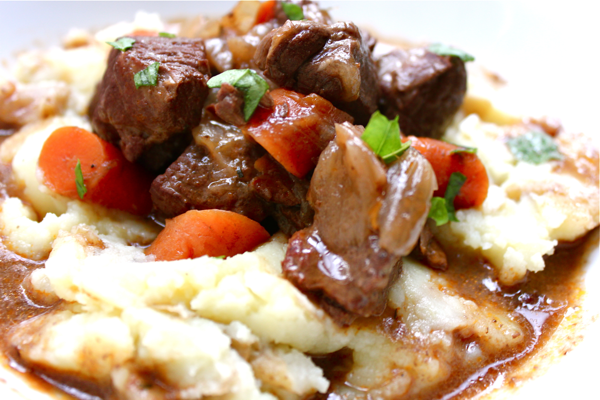 These mashed potatoes aren’t anything special on their own, but when they’re loaded with boeuf bouguignon or short ribs, they turn magical. They do a great job absorbing the flavors around them and holding together so the savory stews can travel from plate to fork to mouth. It’s time for these potatoes to get the credit they deserve! 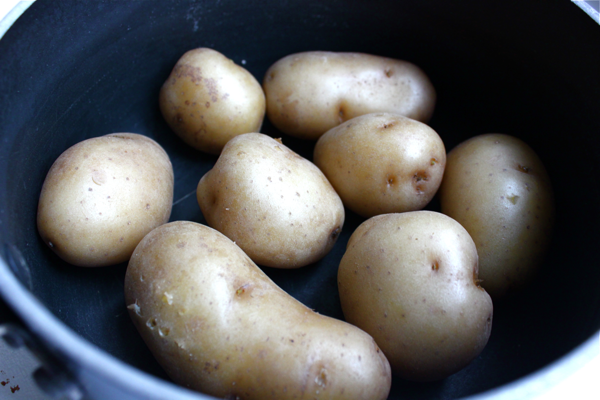 To make them, boil 3 medium-sized new potatoes per person until they can easily be pierced with a fork. Then, drain the water from the pot. 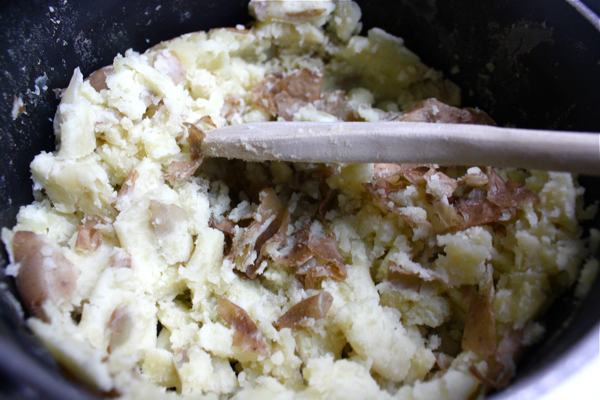 Use a potato masher to completely mash the potatoes, skins and all. The potatoes will seem very dry and crumbly. If you’re making 2-3 servings of mashed potatoes, add 2 tablespoons of butter into the pot of potatoes, and let it melt, turning on the heat if necessary. Then, pour in between 1/4 and 1/2 cup of milk and stir. Add more milk if you want the potatoes to be looser, or stir the potatoes over the heat if you want them to thicken. Season the potatoes with salt and pepper, keeping in mind the salt content of the dish you’ll be serving them with. That’s it! There’s nothing fancy here, just a dutiful sidekick to your amazing stews. When I make mine I use the water they were boiled in so you don’t lose most of the nutrients. I just drain the potatoes in a bowl so you can use as much extra water as you’d like. I also add some butter and sour cream along with some salt and pepper. If I have a fish dinner, I add butter and milk to the potatoes. If I have a chicken dinner , I mash the potatoes non- dairy margerine.